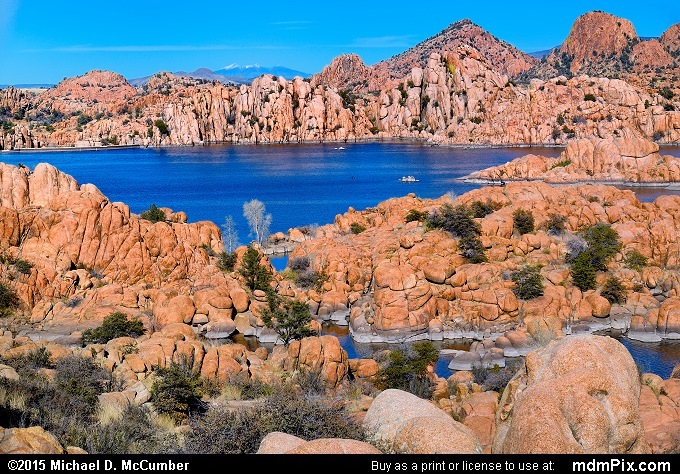 A warm sunny February afternoon along Prescott, Arizona's Watson Lake that is famous for the Granite Dells rock formations that surround the lake. 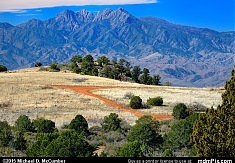 The only snow to be had in Arizona in this 2015 picture is the snow capped San Francisco Peaks some 70 miles in the distance and visible in the center of the photograph. The pink boulders of the Granite Dells are a peculiar formation just north of Prescott along route AZ 89.